When you haven’t done it yourself, it’s hard to imagine the effort that goes into writing a book. Not just a couple of chapters, but an entire book. Sometimes, we hear complaining about the lack of in depth books, but we guess that a lot of people don’t realize that the more in depth a book gets, the more work it is to write, and the smaller the audience for the book becomes. Because of this mechanism, with a new product release you’ll see lots of books getting published covering more or less the same grounds. 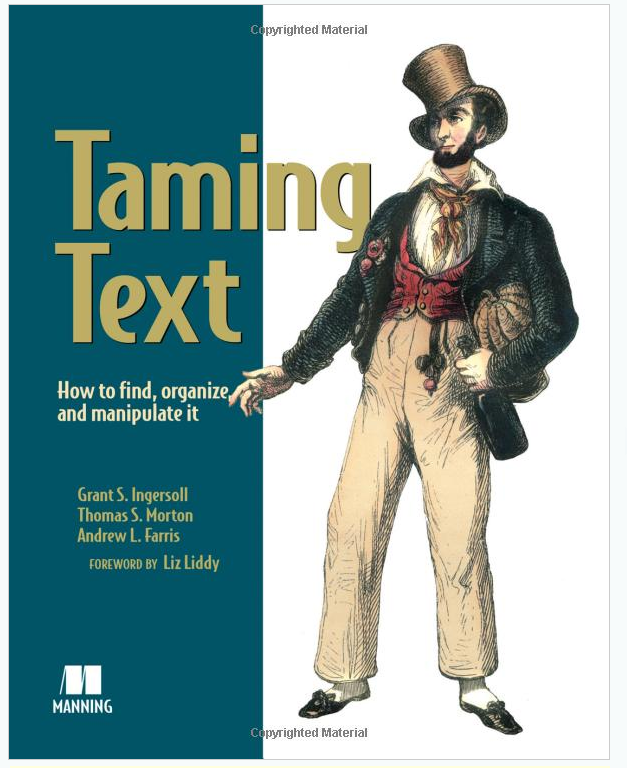 When we were technical reviewers of the book “Taming Text” it became quite clear that this was one of those rare cases where a very specific topic gets covered in great depth. We have one fear for this book, the fear that the audience for this book will be so small that the end result won’t be very satisfying for the authors. This is undeserved, as it is a great book.